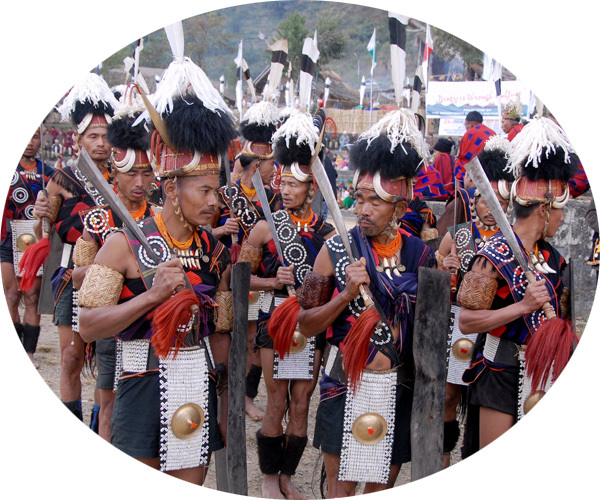 The Naga tribes, living in the mountainous regions of the Indo-Burmese border, were successfully hunting for heads of one another as recently as half a century ago and maintaining virtually no contact with the surrounding nations. They still live in closed communities, and pay little attention to the laws of the countries where fate willed to place their land. 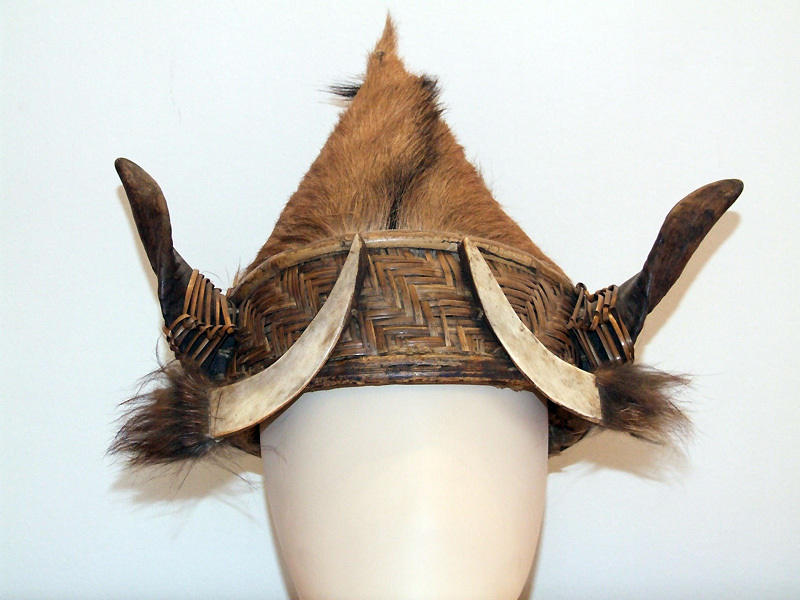 The hat consists of two parts: the lower one is woven from thin and durable reed stems, while the upper conical crown is a goatskin on the reed frame. Such helmet hats decorated with horns and fangs of wild beasts can only wear seasoned warriors who have attained mastery in war and hunting. 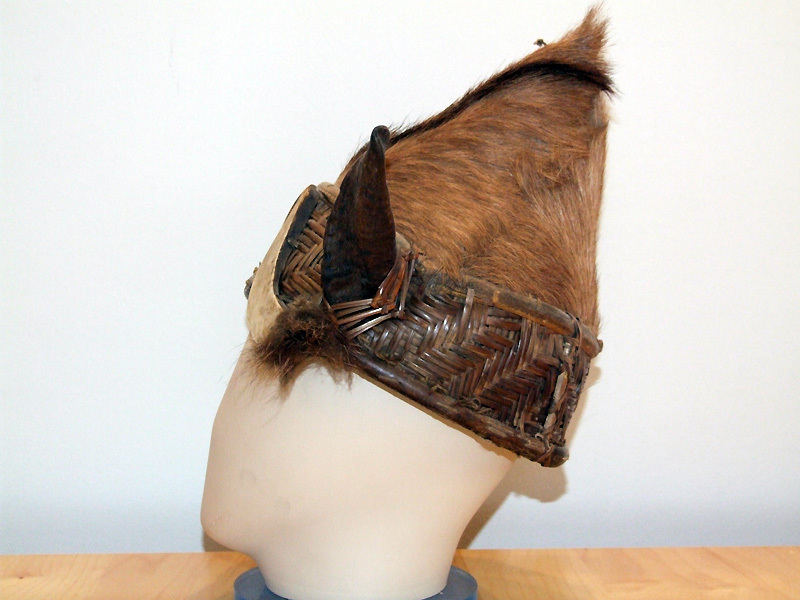 Inside, the helmet is studded with raw cotton for comfort of the owner during a fight.